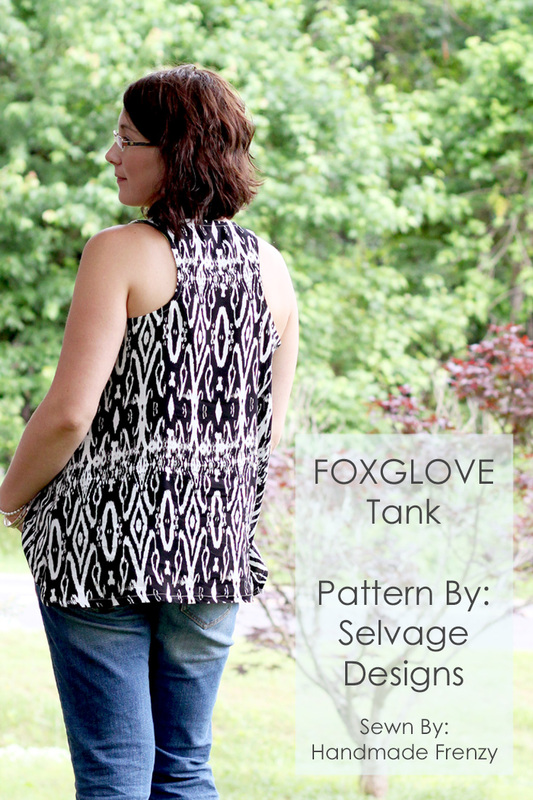 FOXGLOVE Tank - A New Women's Pattern From Selvage Designs! A couple of weeks ago, I had the lovely privilege of testing Lauren of Selvage Designs first womens' pattern. The Foxglove Tank (affiliate link). And it has JUST been release! Woohoo!! 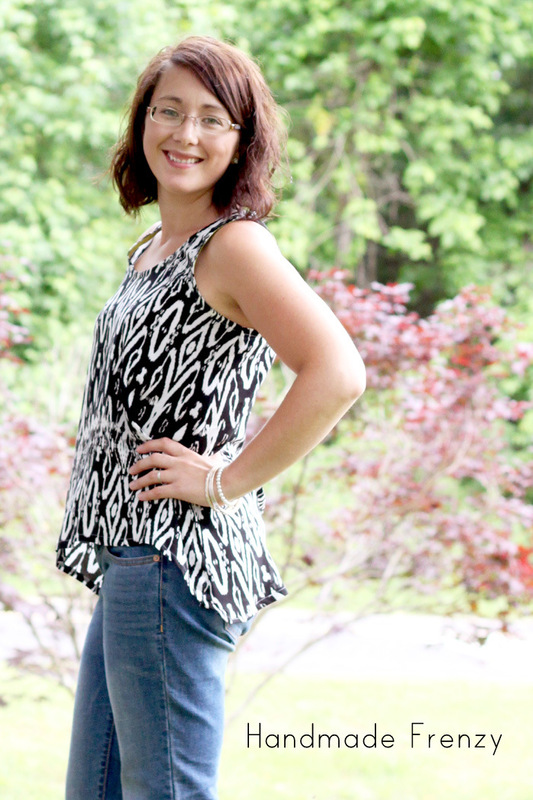 From now through June 29th, the pattern is available for download only through Indiesew (btw, have you heard of this site??? It's pretty great!! ), it is currently available for pre-order at Selvage Designs and will be delivered to your inbox on June 29th if you order there. I LOVED. ADORED. Lauren's debut pattern, the Soleil Dress for girls (see my versions here and here), and this second pattern did not disappoint! I just love how Lauren's patterns are put together. So extremely professional and clean. The instructions and illustrations are impeccable. Another favorite feature is the ability to turn layers on/off. You can print ONLY the size you need! Or if you need to blend 2 sizes, keep the 2 sizes turned on and voila! Super easy to mesh them when cutting out the pattern! I am LOVING sewing a bit more for myself. And as someone who doesn't have a ton of experience in sewing for herself yet (I'm hard at work on that!! ), I can vouch for the fact that this is a GREAT starting point! I learned the importance of making muslins ;) Even for something as seemingly simple as a tank. I made a few of these in wovens only. The pattern is for both wovens and knits though! How awesome is that!? When making it in knit, you can make according to the size chart. When making in wovens however, you probably need to go up a size. But here's the important part. Make a muslin!! To save fabric, you can simply chop the bottom of the top off at the waist. You are just checking for fit across the back, bust and under the arms. After a couple of trial and errors, I discovered I am between sizes, therefore I needed to size up and then take a bit in at the sides. 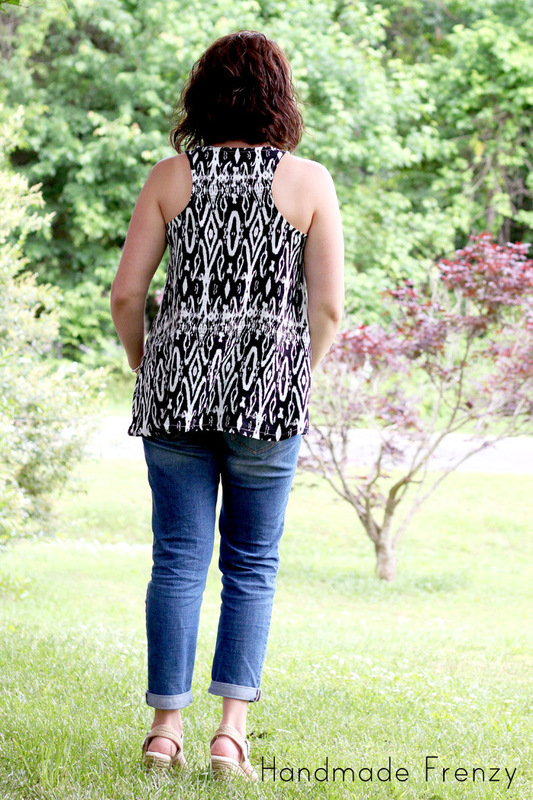 I absolutely love the hi-low hem! It's so flattering for so many shapes. And of course, the defining feature. The racerback! I made this version in a rayon from Joann Stores. It has the per.fect. 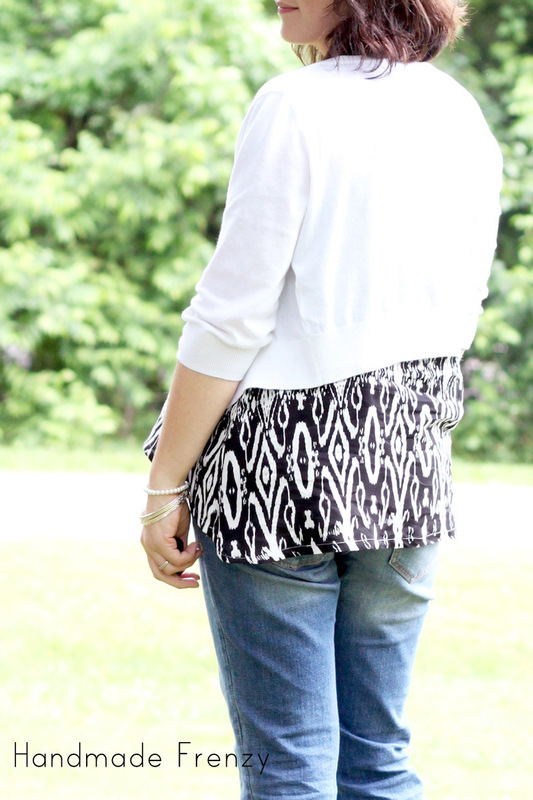 drape for this top! This will be great paired with shorts and sandals this summer once the temperature in sweltering. The rayon is so light and airy! It also looks ridiculously cute with a cardigan for a cooler day, or for just a little more coverage. I wore this outfit to church and was super comfy, yet stylish all day! This is the tester version and Lauren has since tweaked and adjusted the pattern to perfection. The biggest adjustment is that the curve is slightly more pronounced in the back. Yep. Totally love, love, love my new Foxglove! I also have a couple more in process and I'll be sure to show you when I finish them up! Thanks Jenya :) And yeah... Muslins... haha! I can't wait to see!!! I totally loved it in rayon, so comfy! I just love this so much!! Thank you for testing and posting. You are gorgeous! Thanks so much Lauren! *blush* And thanks for letting me test, I loved it! So cute! I love the print and rayon is becoming a favorite of mine. Also, muslins...yes, so necessary but sometimes frustrating!